What are the different types envelope seals? Gummed envelopes are one of the first types of adhesive seal (after of course the wax seals) to have been created and are still widely used today. The first method used for sealing envelopes was a wax seal. It was 50 years after the first envelope making machine was created (back in 1845) before a commercially successful machine for producing pre-gummed envelopes was created. The gum you find on envelopes today is a water soluble gum and the most common sealing method. To activate the adhesion process you must moisten the layer of adhesive along the envelope flap, this then allows the gum to glue the flap closed. When purchasing envelopes for automatic insertion machines, ensure that you use gummed envelopes only as the sealing is performed automatically by the mailing machine. 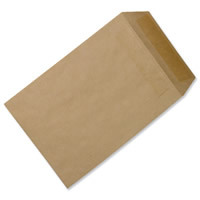 When stored correctly, gummed envelopes will last for a number of years. The gum is made using a blend of synthetic resin and dextrin and so is completely biodegradable. Gummed envelopes are available in most sizes and types, but are most commonly found on smaller envelopes as press seal and peel and seal provide stronger seals. Press & Seal envelopes are another of the most popular sealing methods. They eradicate the need for moistening the flap and practically do all the work themselves. All you have to do is apply the two 'glued' flaps together. These envelopes have a strip of latex on each flap so that when they are pressed together, they form an instant bond. Bear in mind when purchasing these envelopes that they have a shelf life of approximately 1 year, so only purchase as many as you think you will use in that time, veering on the side of caution. Having said this, if they are stored right they may last you a little longer. You will find security slits on the flap of peel and seal envelopes which causes the flap to rip in the event of the envelope being tampered with once sealed. The peel & seal envelope (also known as super seal, strip seal & peel & stick) is up there in the top most secure ways to seal an envelope. You simply peel away the strip which protects the latex adhesive and press down to form an instant bond. These envelopes have a longer shelf life and almost act as a tamper proof security seal as they are almost impossible to open unless the flap is torn. Using a peel and seal flap envelopes makes sealing quick and easy. No more licking the gummed edge, just simply peal back the strip and seal. 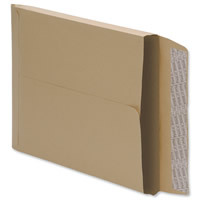 The peel and seal envelope is most commonly found on envelopes with a long flap, such as C4 or DL wallet style.